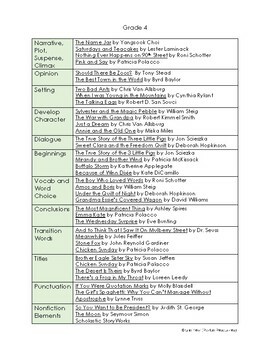 This free resource is from a Mentor Text booklet designed for Grades K-8. Although this example is Grade 4, it can be used in any grade if your whole school isn't using Interactive Writing Notebooks. In the Interactive Writing Notebook program, there is a separate list for each grade level so students get different examples each year.